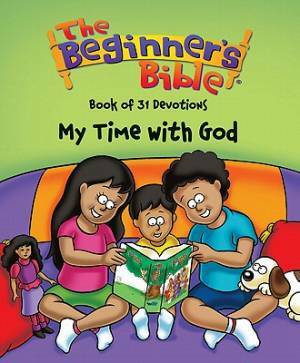 Filled with vibrant art from The Beginner's Bible, My Time with God is filled with daily readings that will help preschoolers learn the themes from basic Bible stories and apply them to their lives, through prayers, songs, and fun activities. Beginners Bible Book Of 31 Devotions by Kelly Pulley was published by Zondervan in February 2001 and is our 33350th best seller. The ISBN for Beginners Bible Book Of 31 Devotions is 9780310726012. Be the first to review Beginners Bible Book Of 31 Devotions! Got a question? No problem! Just click here to ask us about Beginners Bible Book Of 31 Devotions.